The Repose Contur is a cushion overlay that has been specifically designed for use with Riser Recliner Chairs. It provides pressure redistribution for the at-risk areas of the body including the sacrum and buttocks. 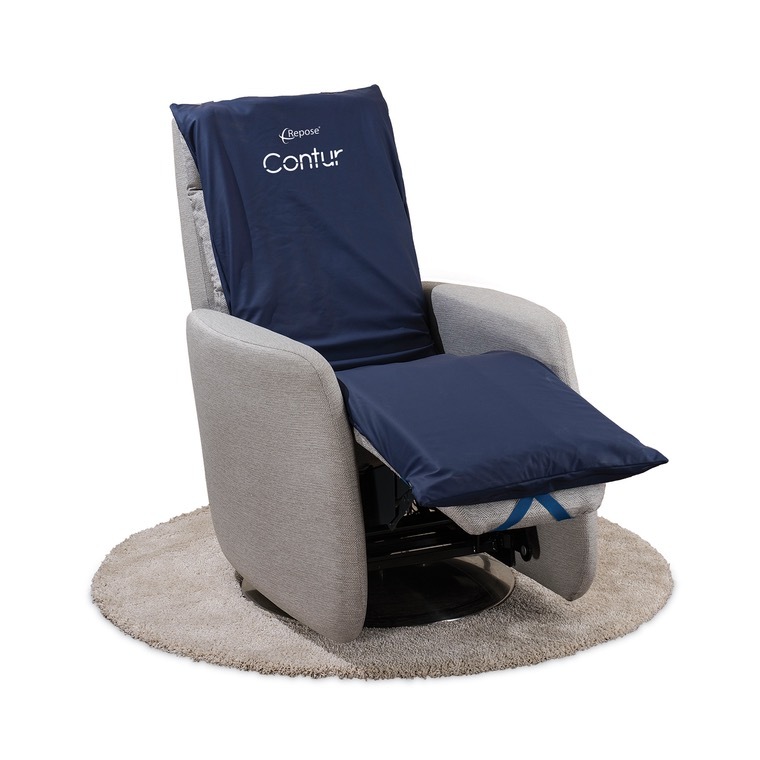 The Repose Contur is a pressure redistribution cushion overlay that has been specifically designed for use with Riser Recliner Chairs. It utilises the Repose inflatable air cell and 'smart valve' technologies and offers pressure relief to the back, seat and leg sections. It easily and safely secures to the chair with straps allowing it to be fitted to all types of riser recliner chairs for those that require a specialist support surface. Included in the box is a Contur Cover, Contur Inflatable Inner Section, Repose Pump and User Instruction Leaflet. Delivery of this product will be made directly from the manufacturer in approximately 2-3 working days. The product is supplied with comprehensive set-up and user instructions.